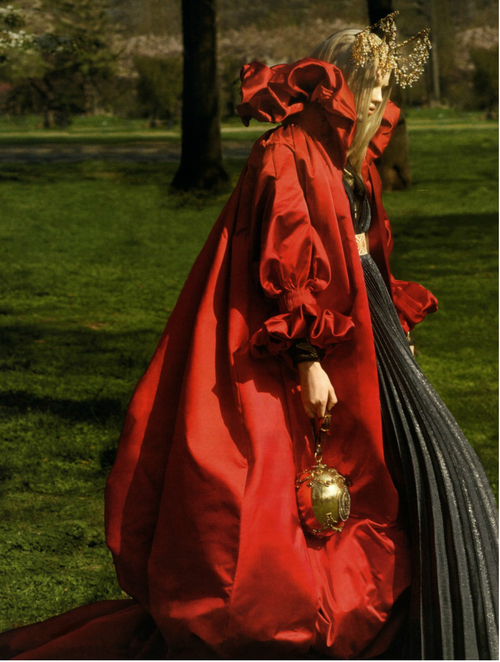 It could be said that when it came to fashion shows, Alexander McQueen put all his eggs in one basket. At no time was this more evident than his 2008-2009 Autumn/Winter collection, when he showcased a selection of the renowned Яйца Фабержé (Fabergé eggs) alongside his garments as if they were accessorizes. Alexander III (known historically as The Peacemaker) and Nicholas II of Russia (the last Emperor of Russia, nicknamed Bloody Nicholas by his enemies) commissioned the most famous Imperial Eggs as Easter gifts. That’s why the name, Imperial, typically refers to products made by the company before the 1917 Revolution. Through the years, sadly, the use of the Fabergé name has occasionally been disputed, and the trademark has been sold several times since the Fabergé family left Russia after 1917. As a result of this, several companies have subsequently retailed egg-related merchandise using the Fabergé name. The trademark is currently owned by Fabergé Limited, which also makes egg-themed jewelry. In 1885, to celebrate the 20th anniversary of their betrothal, Tsar Alexander III commissioned famed jeweler, Carl Faberge, to create an egg crafted from gold, with an opaque white enameled shell to give to his wife, the Empress Maria Fedorovna. It is believed that the Tsar’s inspiration for the piece was an egg owned by the Empress’s aunt, Princess Vilhelmine Marie of Denmark, which had captivated Maria’s imagination in her childhood. He commissioned another egg the following year. After that, Peter Carl Fabergé, who headed the House, was apparently given complete freedom for future Imperial Easter Eggs, and subsequently the intricacy and mechanical genius of the designs became more elaborate. According to the Fabergé family tradition, not even the Tsar knew what form they would take: the only requirement was that each one should contain a surprise. Following the death of Alexander III on November 1, 1894, his son presented a Fabergé egg to both his wife, the Empress Alexandra Fedorovna, and to his mother, the Dowager Empress Maria Fedorovna. No eggs were made for 1904 and 1905 because of the disastrous Russo-Japanese War which depleted much of the resources of the Russia and which helped pave the way for the eventual revolution. Once an initial design had been approved by Peter Carl Fabergé, the work was carried out by an entire team of craftsmen, among them Michael Perkhin, Henrik Wigström and Erik August Kollin. The Imperial eggs enjoyed great fame, and Fabergé made some other large eggs for a few select private clients, such as the Duchess of Marlborough, the Nobels, the Rothschilds and the Yusupovs. A series of seven eggs was made for the industrialist Alexander Kelch. A sacred tradition among followers of Eastern Christianity says that Mary Magdalene was bringing cooked eggs to share with the other women at the tomb of Jesus, and the eggs in her basket miraculously turned brilliant red when she saw the risen Christ. The egg represents the boulder which blocked the entrance to the tomb of Jesus. Dieric Bouts, The Last Supper (1464-1467). Bouts did not focus on the biblical narrative itself but instead presented Christ in the role of a priest performing the consecration of the Eucharistic host (a Latin word which means “sacrificial victim”). 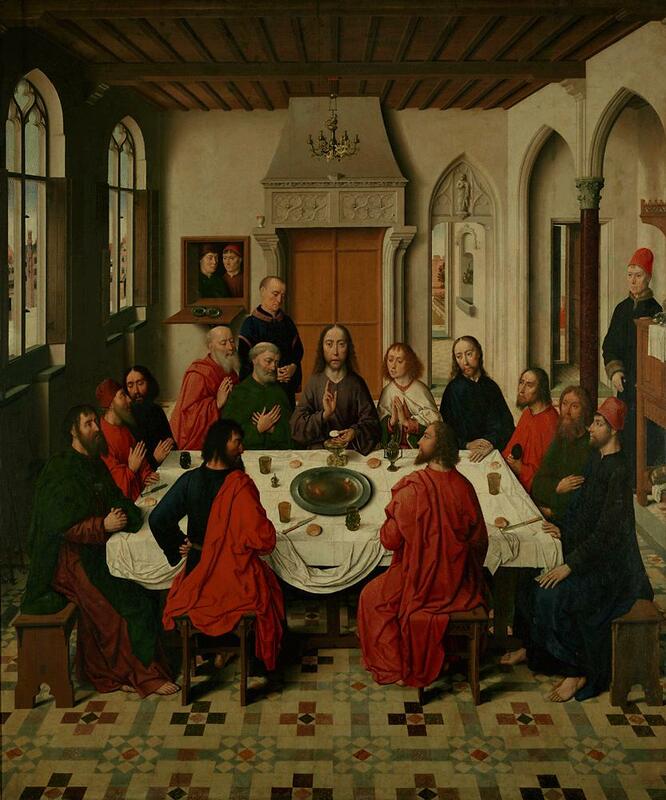 In this painting the sacramental bread (an ulterior symbol of Christ’s body) has an oval shape. 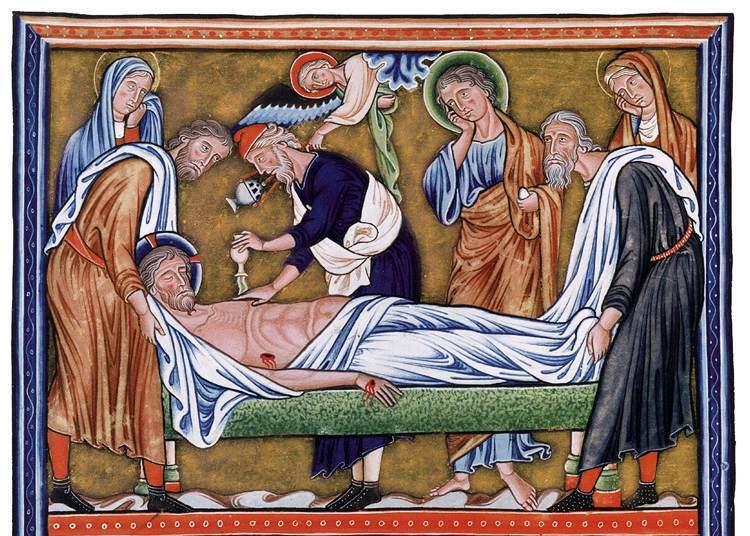 Detail from the illuminated manuscript Psalter of Ingeborg, Denmark (c. 1213). The egg-shape is a key-motif in this religious scene.